Sellers as well as buyers are taking stock of priorities as the economy continues to show weakness across most industries. As a result, most sales organizations are pursuing new business—which often means taking advantage of competitors’ complacency or mistakes in providing service to customers. In the face of relentless competitive pressure, sales leaders are looking for smart answers to an urgent question: How can we protect our customer base from erosion as competition intensifies? To strengthen ties with your best customers, start by making sure you know who those customers are. Analyze the type and quality of business delivered by each account, and assess the cost of sales compared to revenues. Are some customers using resources that could be better spent on securing more profitable relationships? Are there customers with the potential to provide more business? And what is the status of your relationship with your loyal customers who offer a steady flow of good opportunities? Are they getting the attention and level of service they expect and deserve? When it comes to the less-productive accounts, sales leaders are sometimes surprised to discover how much it costs to keep customers who are not consistently providing good sales opportunities. Often these same customers demand value-added services they don’t want to pay for. The resources spent to keep these accounts might be better applied to building value for other customers. As you evaluate your better, more profitable accounts, look for those that were more productive in the past. These may have the potential to provide more business again in the future. And look carefully for customers with whom you have a relationship, but where business may have fallen off due to benign neglect or a lack of adequate service. These should be viewed as “at risk.” With renewed focus and a greater investment of resources, some of these customer relationships could be the source of more revenues. But how do you determine which customers are too costly, and which should be kept and strengthened? What is needed is an objective way to evaluate which customers are your real “keepers,” and which ones should perhaps be “fired.” Below are some questions you might want to ask to get a more systematic analysis of your account portfolio. • How do you know which accounts are the most profitable? You are probably tracking sales per customer, and know the sales and revenues you are gaining per account. But how recently have you compared the cost of sales for key customers? Do you know what you are spending in terms of time and other resources to gain those revenues? If you are tracking COS you may have this data, but many sales leaders say they have focused primarily on the top line and do not necessarily compare the COS to revenue per account. • Are you aware of which accounts are regularly providing good, winnable opportunities? o Is there a consistent flow of real opportunities? o Do the opportunities tend to bring true value for both your organization and the customer? o Do you generally win the opportunities you identify, or are you competing for business at the cost of discounting and providing value-added services the customer doesn’t pay for? • Do any of your current customers have potential to deliver more sales? o Did any of your accounts previously provide more business? o Are there accounts that have been neglected or taken for granted? You may find that some of your long-time customers, even key accounts, are taking up resources such as technical advice, consulting, and other services they don’t pay for. And some of these customers are not yielding a comparable amount of good business. Consider cutting your ties or pulling back from these accounts, and re-allocate the resources to build stronger connections with genuinely profitable customers. 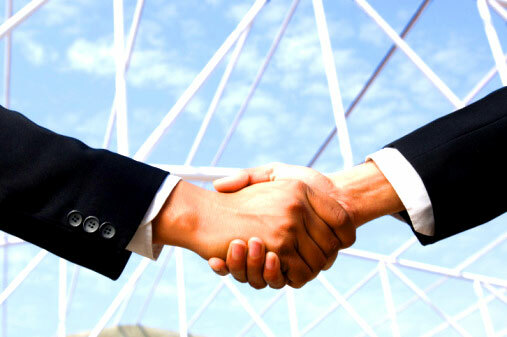 Also look at renewing relationships with accounts that have potential for increased business. As you assess your current business, determine what type of relationship you currently have with each customer, and what kind of relationship you want. First, it’s important to keep in mind the difference between what could be called a “Big R” and “little r” relationship. We define “Big R” as long-term relationships with strong company-to-company connections. The best of these customers are loyal to your organization—for reasons to be reviewed in a moment—and provide a steady flow of good business. We define “little r” relationships as the networks of interpersonal connections sales reps must build with individual customers. These “little r” relationships—built on personal trust and confidence in the sales rep—are absolutely necessary, but not sufficient to protect a customer from predatory competitors. As every salesperson knows, individual contacts may change roles, leave the company, or otherwise become unavailable to influence buying decisions. (One study suggests that as many as 33% of employees change jobs each year. ) When the relationship between your two companies is strong, the loss of even a key contact is less likely to affect the customer’s commitment and ongoing sales. So one question to ask is: How many Big R relationships do you have among your productive accounts, and what are you doing to make sure these customers continue to do business with you? The advantage of having these customers in your mix of accounts is that price is usually secondary for them. Typically they are buying solutions from you that are more integrated into how they do business and for which they may lack expertise. Their concerns are with the kind of training and support you offer, your track record and stability, and your capability to grow with them. These factors create switching costs. This means it is not easy for these companies to change suppliers without incurring significant costs associated with re-training, disruption of their business, and other issues. • Provide high-quality support and service commensurate with the customer’s investment in your offering and the relationship. • Keep them well informed about your organization’s technology, business direction, and development of new capabilities and products. If you find that you have a lot of these types of accounts, make sure they are paying their way. If they are, make sure they are being well served and are completely satisfied with the relationship. Most salespeople can only manage a few of these accounts at best, as they do tend to require a lot of hand-holding and rightly expect quick responses to their questions, problems, or concerns. If they don’t receive the level of support they need, they may begin to question the wisdom of remaining locked into your solutions. 1. Price —These customers do care about getting a competitive price and are vulnerable to cost cutters. 2. Conformance to specifications —They may have quality specifications and other requirements they expect to be met; it’s important to make sure they receive exactly what they need, every time. 3. Delivery —How and when do your Transaction customers need and expect delivery? If you can be faster than your competitors or more able to deliver at certain locations at certain times, you will have a competitive advantage with these customers. 4. Availability —Transaction customers need to know they can rely on you to have what they need, when they need it. A supplier who runs out of stock or asks the customer to wait to receive the materials or products they need may not get another chance to fulfill an order. With competitive pressures to contend with and finite resources, your best strategy is to focus the time and energy of your salespeople on building strong and lasting relationships with your most valued customers. Taking customers for granted is the enemy of retention. Make sure you know what kind of relationship you have with each account, and that your sales reps are aware of their customers’ expectations based on those relationships. 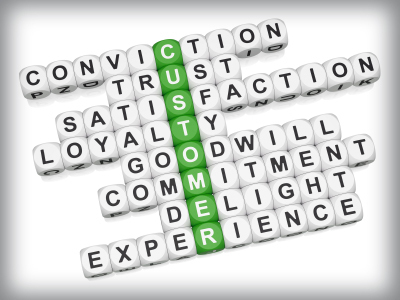 Keep abreast of any changes in the customer’s business model and buying preferences. That will ensure you are providing Big R customers what they need from your company, while meeting the very different needs of good Transaction customers as well. If each customer feels you are providing not only valuable solutions, but selling to them the way they want to buy, your relationship with them will be a strong barrier to competitor encroachment.